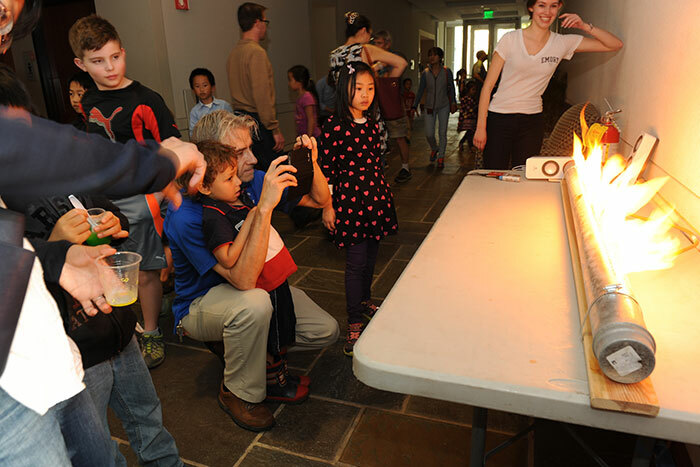 Photos: Chemistry Carnival and Physics Live! 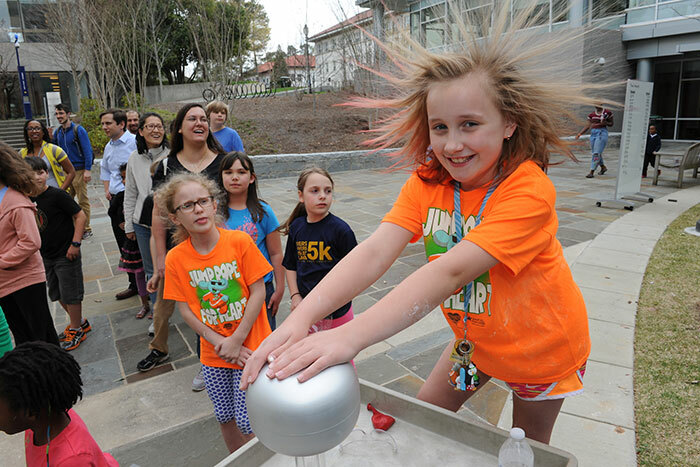 There were plenty of "wow" moments as Atlanta Science Festival fans came to campus March 24 for "Physics Live!" 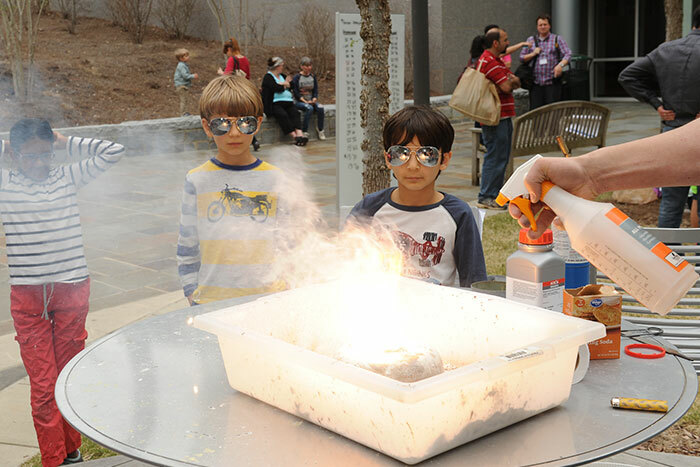 and the Chemistry Carnival. 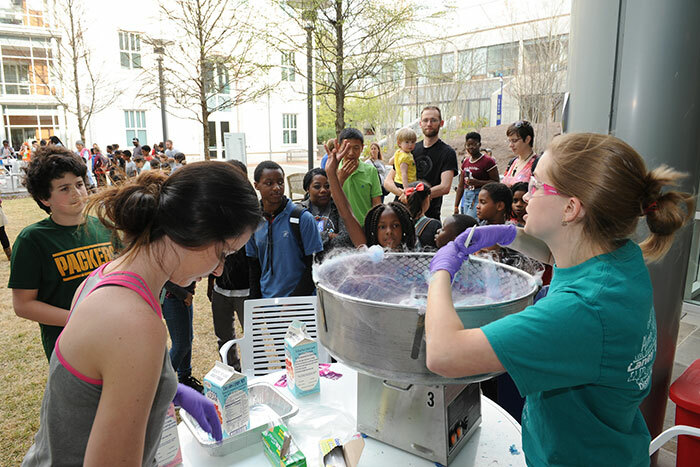 Emory faculty and students led science demonstrations and games designed to dazzle kids from kindergarten through high school. 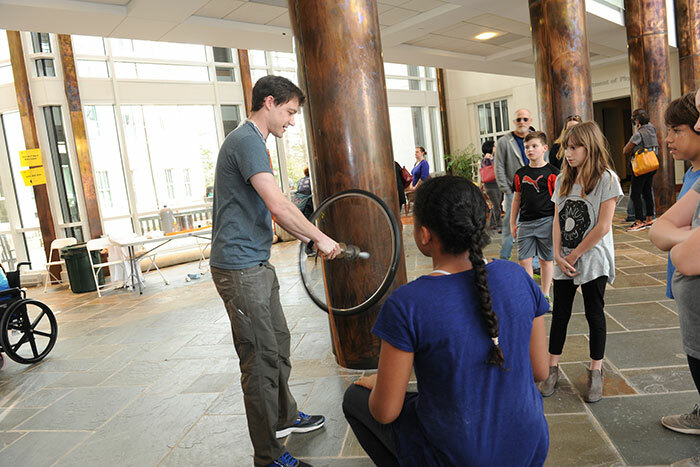 The 12-day Atlanta Science Festival featured talks, lab tours, film screenings and hands-on activities at more than 100 events at dozens of different venues, including the Emory campus. 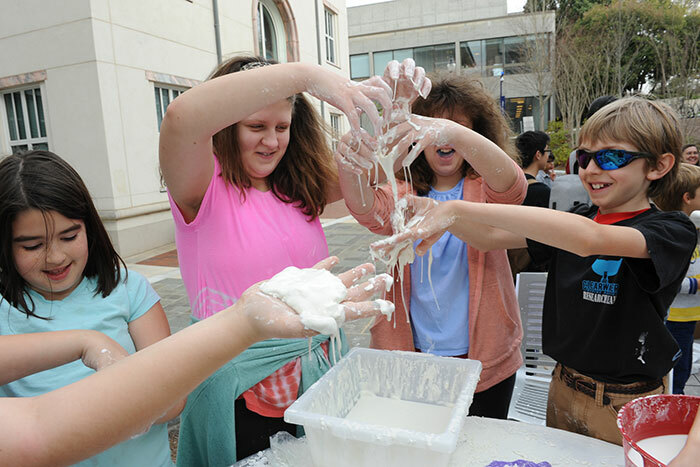 The fourth-annual festival kicked off March 14 at Emory with a talk by Captain Mark Kelly, commander of Space Shuttle Endeavour’s final mission, and concluded March 25 with the Exploration Expo at Centennial Park. 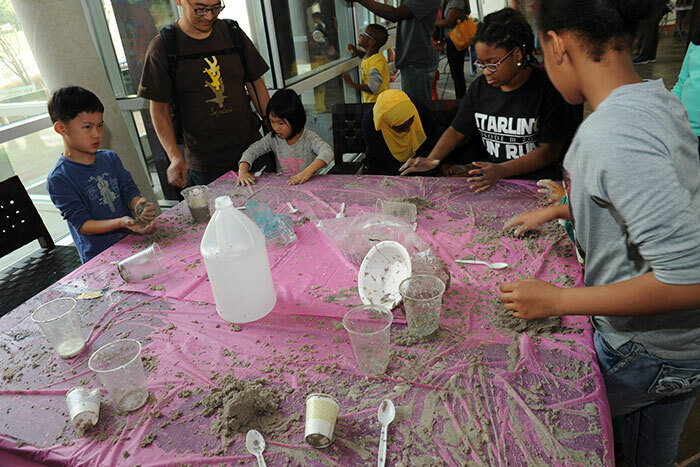 Founded by Emory, Georgia Tech and the Metro Atlanta Chamber, the Atlanta Science Festival's mission is to "engage the public in a celebration of our local science community, and the ways science, technology, engineering and mathematics (STEM) help us to better understand and improve our world."